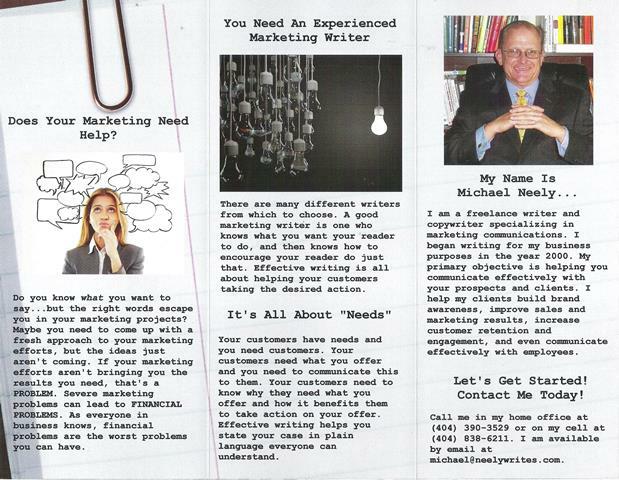 This is Side Two (or the inside) of my brochure I designed at VistaPrint for my writing business. This is more a testimony for my writing skills than for my design skills. When I chose a special paper, a lot of the “design” work was done for me. That did not mean I was not curious about the design effort that went into the paper. I did choose the graphics and wrote the content for the brochure.